"I've known Sara since childhood. It's been a joy to witness her young career, to hear her song writing develop and her singing mature. This young lady has a huge career ahead of her." - Christy Moore. Jan 2018. Hailing out of Newbridge, County Kildare and now singing out of Cork City, Sara Ryan, armed with her lyrical blend of emotional honesty, self-awareness and societal reflection, driven by a perceptive and rebellious spirit, is well on her way to reaching every music loving ear throughout Ireland. Sara's soft and smooth but soulful vocal styling, supported by beautifully crafted melodies, invites the listener to stay tuned for the electrifying sound and next insightful rhyme. Following the success of her debut single 'Belle' which won her acclaim and recognition as 'Best New Comer' on Dublin City FM, 'Belle' being 'Best New Single', Sara was then crowned 'New Folk Artist of the Year' at the prestigious Irish Folk Music Awards. Playing to over two thousand people this past summer extensively touring her Debut EP 'Glitter Skies', Sara thrilled audiences throughout the country. 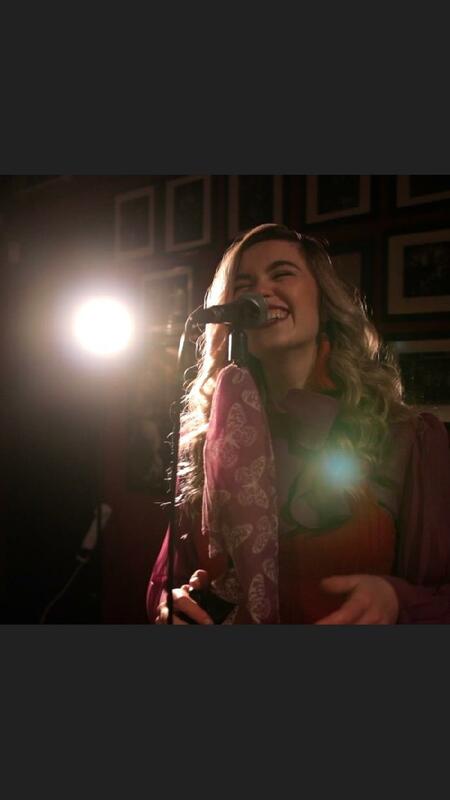 Her second single 'Euphoric Recall' has been well received by radio DJs including Roddie Cleere, Fiachna O'Braonain, John Creedon and has had a great deal of airplay all over Ireland. "'Glitter Skies' is a superb introductory release, filled with charm and personality." - Golden Plec. touring with Mick Flannery, Jack L, John Spillane and Luka Bloom. 'Sara Ryan is a beautiful person, inside and out. And this is reflected in her songs and singing'. - Luka Bloom.